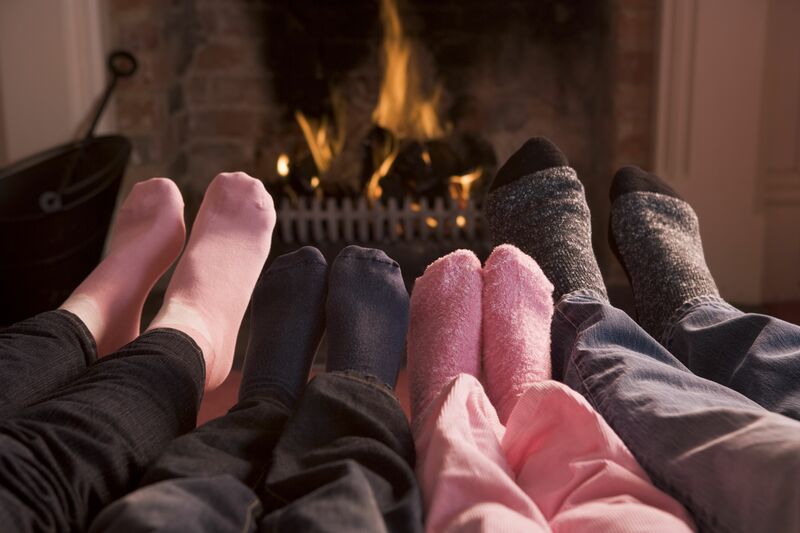 1) Ensure that your fireplace has a sturdy screen to contain sparks. 2) Always cool your fireplace – ashes first – and then place them in a metal container when discarding them. It’s also a good idea to keep that container away from your house. 3) Never toss wrapping paper in the fire. It’s highly combustible. 4) Holiday decorations make the season bright, but make sure to examine your holiday lights for wear and tear. 5) Use candles only in an area where they are attended. Scented candles contain oils which cause them to spark and catch materials on fire. 6) Stay in the kitchen while you’re cooking. Keep all flammable items away from open flames and keep a fire extinguisher nearby. 7) Talk to your children about fire safety. Teach them not to touch cords, electric lights, or decorations. 8) Designate the kitchen as a kid-free zone while cooking and turn pot handles inward in case your child sneaks by you. 9) If you have a tree, keep it at least three feet away from heat sources (candles, heat vents, fireplaces, etc.). 10) If you are using a fresh-cut tree, always maintain water in the base to keep it from drying out. Lights on a dry tree can cause it to catch fire. 11) Know which lights and extension cords you’re using. Check the label to determine whether they should be used indoor or outdoor. 12) Test your smoke alarm. If you need new batteries, change them. Don’t forget! Members 1st also offers a variety of coverage options to protect you and your family, including homeowners, renters, and dwelling fire insurance. Contact one of our insurance specialists at (800) 283-2328, ext. 5218 or 5245 or visit http://www.members1st.org (click on Products and Services>Insurance Services).